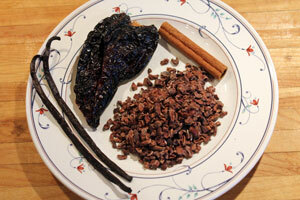 Brewing ingredients are evaluated in a variety of ways before they reach the brewer. Malt is analyzed for it’s potential extract and protein content (and many other things). Hops are analyzed for their alpha acid and oil content (among other things). Yeast packages frequently give an estimate of the cell count and when the yeast were packaged (or will expire). Not all of this information reaches the average homebrewer, but it is out there if you’re willing to search for it. Although this information is useful, brewers should additionally assess the aroma and flavor of their brewing ingredients before using them. The numbers (alpha acid percentages, etc.) are highly useful pieces of information, but we don’t taste numbers when we drink beer. Determining whether or not ingredients are fresh or stale is something a brewer can easily do on his own, and has a big impact on the quality of the finished beer. It doesn’t take long to chew a few grains, sniff some hops and evaluate some starter beer. Focusing on your ingredient quality, as well as your process variables, will make you a better brewer. Always assess your hops before adding them to your kettle. Because most homebrewers enjoy hoppy beers, this is something many already do for every batch. Hops — whether whole hops or pellets — should look green and have the characteristic smell of hop oils. Old, stale hops will look brown and smell cheesy, or sometimes excessively paper-like. Stored properly — sealed away from oxygen and frozen constantly (i.e. 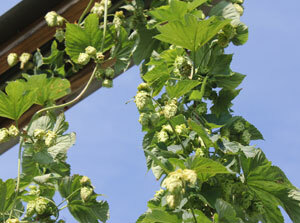 not in a frost-free freezer) — hops can last for years. Their alpha acids will degrade slowly over time (and different varieties decay faster than others), but the oils will remain fresh. In fact, some German brewers purposely (cold) age their hops, believing the aroma improves with age. Old hops that have remained frozen and still look and smell fresh are fine to use as late addition hops, but you’ll probably want to go with “new” hops for bittering, as the printed alpha acid rating will be closer to correct. To make great beer, you need an adequate amount of healthy yeast. 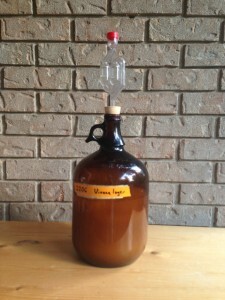 One way homebrewers attempt to obtain a proper pitch of healthy yeast is to make a yeast starter. If you make a yeast starter, you should definitely assess it’s quality before pitching the yeast. 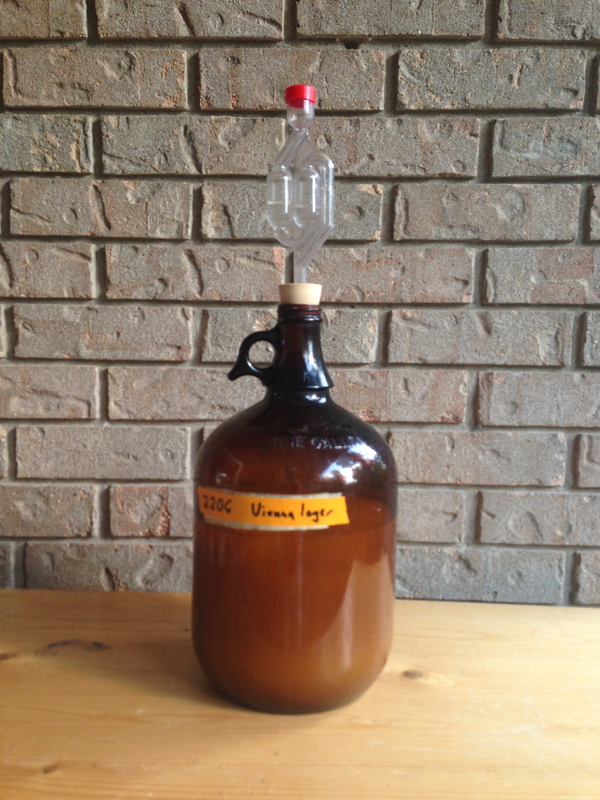 Pay attention to the aroma of your yeast starter and the flavor of the starter beer. However, be aware that unpleasant aromas or flavors are sometimes associated with growing yeast. For example, some lager yeasts give off a lot of sulfur. At a minimum, smell starter wort. It should be free of off odors and may also smell “yeasty,” especially if it is still fermenting. Of course, with some yeast strains, the yeast starter may smell different from what you beer will smell like. For example, a lager starter may smell sulfury. As such, determining what is an off character versus what is a normal, albeit unpleasant, smell can take some practice. If you use the same yeast strains over and over, you’ll quickly get to know their characters. If you brew frequently, keeping a packet or two of dried yeast in your refrigerator is a god back up plan in case a yeast starter fails. Dried yeast is inexpensive and an unopened package will remain useable for a couple years if refrigerated. Commercial brewers (and some advanced homebrewers) review their malt analysis sheets before brewing, and we all check the alpha acid levels on our hops and expiration dates on our yeast packs or tubes. However, additionally assessing how our ingredients smell and taste can help any brewer improve the quality of his (or her) beer. When you assess your ingredients, write down any observations you make in your brewing notebook. It may help you decide on how much late hops and what varieties to add if you note that this year’s Cascade hops smelled more aromatic or have a different character than you are used to. Likewise if an off character does arise, it’s good to have a record of how your ingredient evaluation went. For example, were you a little suspicious about an aroma in the yeast starter? Spices should be fresh and aromatic. There is a bit of a learning curve to this, but telling fresh ingredients versus stale ingredients is not that difficult. The hard part comes when you detect that one of your ingredients is substandard. If you have a stockpile of brewing ingredients in your brewery, or your local homebrew shop is right around the corner, you may be able to replace the ingredient or find an acceptable substitute that day. If not, you may have to cancel your brewing plans. This is something I struggle with, because I feel like my palatte is still in training. I think I’ve been lucky so far that I haven’t encounted anything really objectionable, but that could be inexperience speaking as well. I did have to throw out a bag of homegrown hops that broke open in the freezer. It definitely smelled more like freezer and cheese than the other bag that smelled wonderfully citrusy and hoppy. When it comes to evaluating your ingredients, you’ll get better with practice. In the long run, it will save you from wasting time on brewing with ingredients that have gone bad. I guess you meant to say “…don’t return any of the remaining starter beer…”. Right? “Don’t.” Yes. Good catch. Thanks, I corrected the article. Recently made a starter to try to bring some old yeast (Mexican Lager) back to life. The starter beer tasted rather “cheesy.” Does that sound normal?